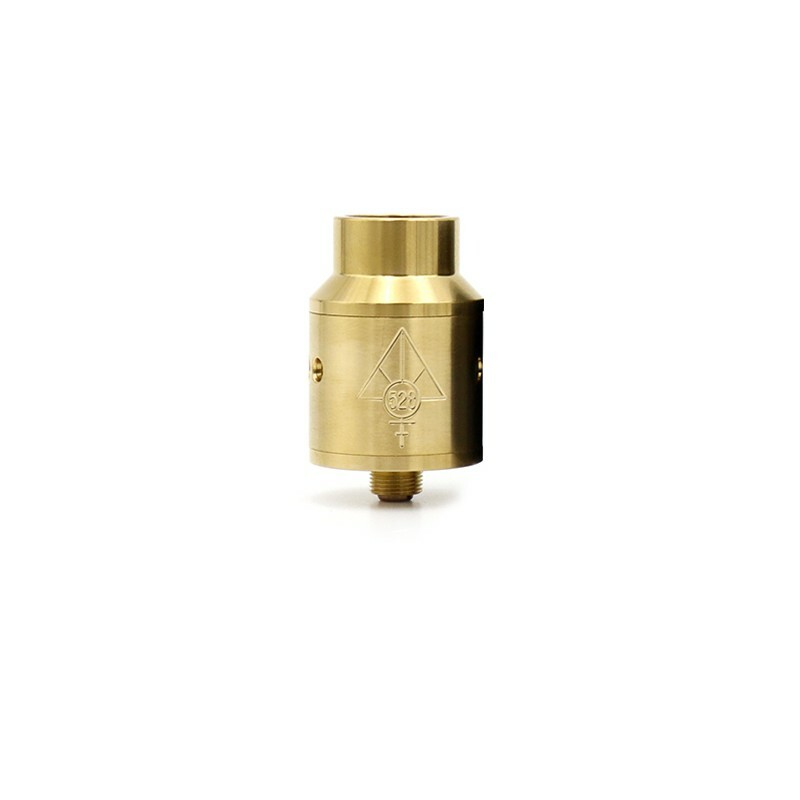 This Goon Style RDA features an innovative bridge styled build deck where almost any sized build can fit with ease. 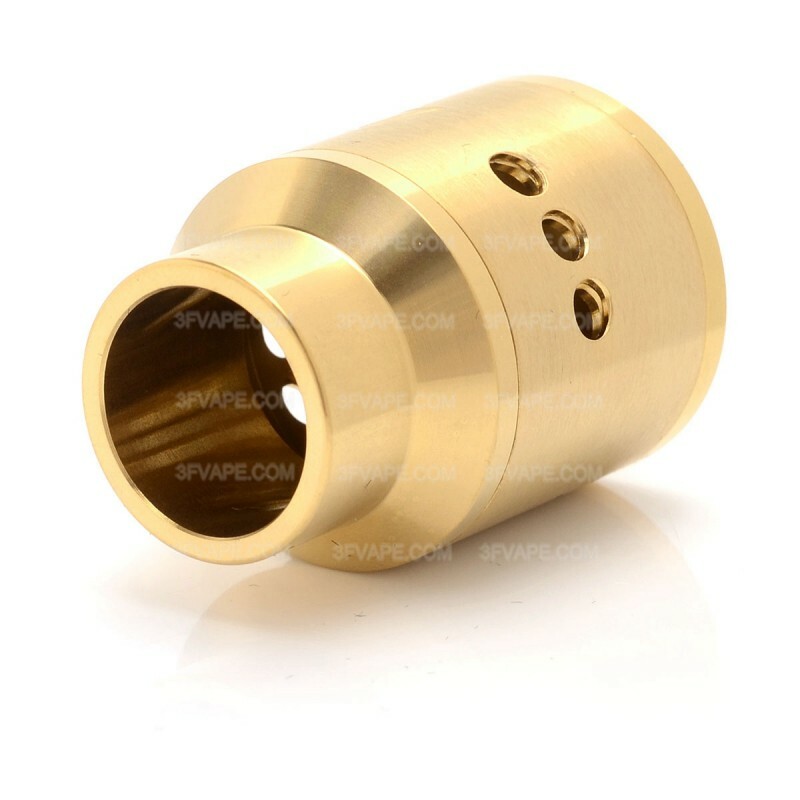 The large 22mm diameter allows for huge builds and a deep juice well preventing leaks. 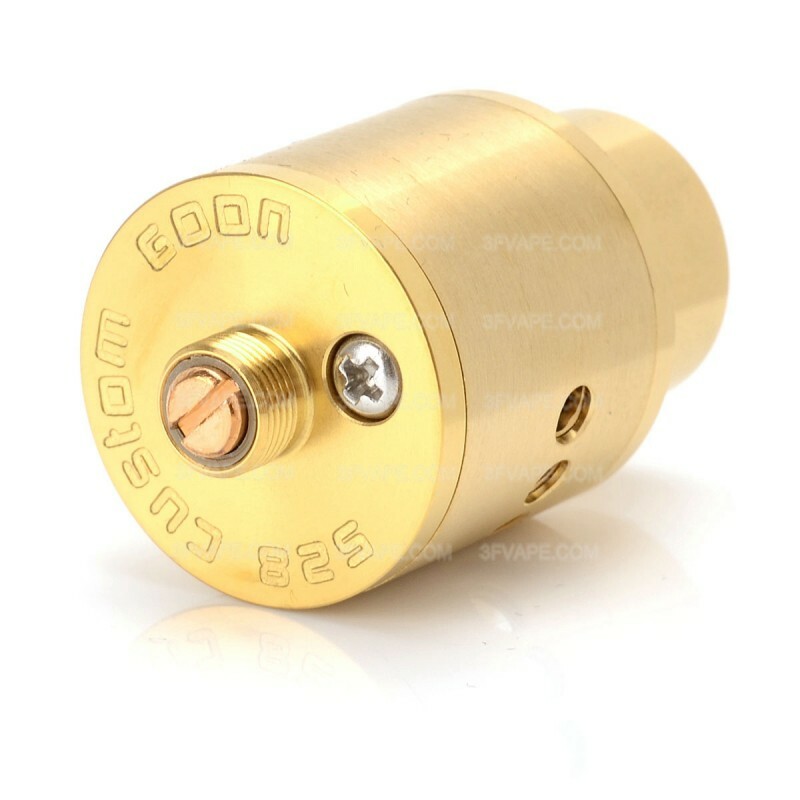 The 22mm RDA comes with wide bore drip cap and wide bore drip tip capable top cap. 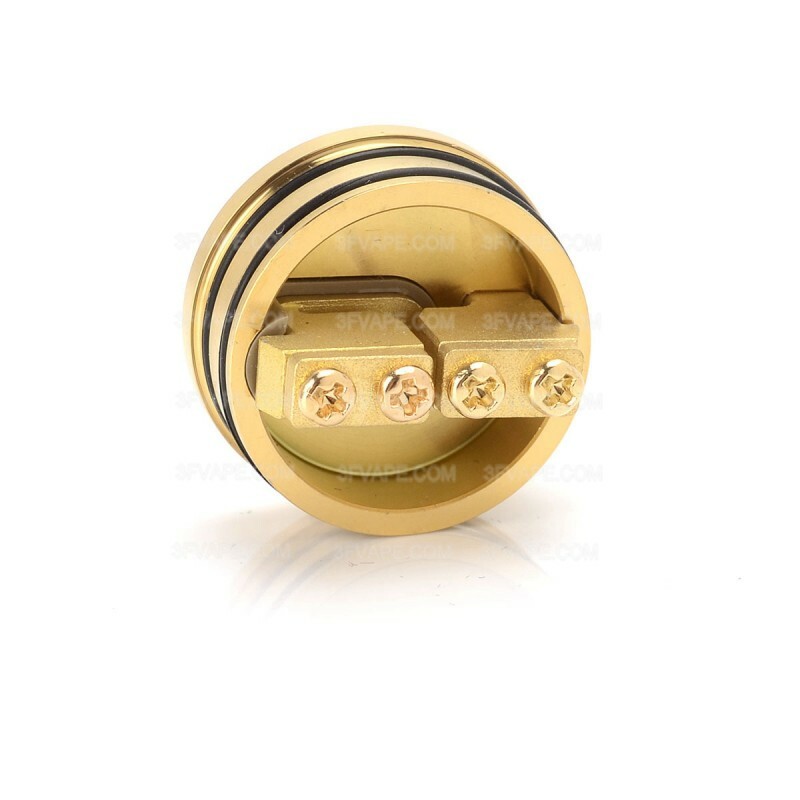 Please Note: This RDA does not support Bottom Feeder, so the bottom feeder pin in 3FVape is not compatible with this RDA. 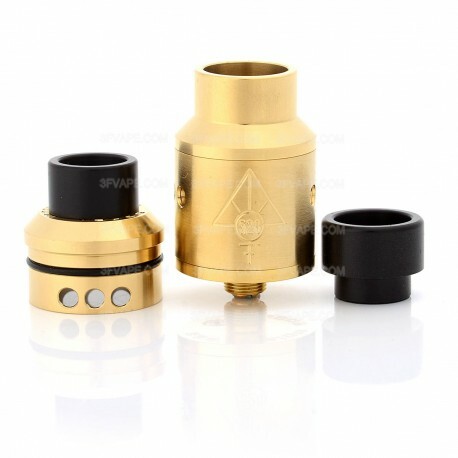 This RDA is not compatible with the 12.5mm drip tip in 3FVape, the diameter of this drip tip connector is 12mm.